White Cami Top - New Look Blue Waterfall Coat - Pretty Little Thing* Mid-Stone Joni Jeans - Topshop Mid-Heel Shoes - Topshop I've been obsessed with waterfall coats at the moment. I find them so easy to throw on with really simple outfits. You may have seen other outfit posts of me wearing a waterfall coat here and here. I am in love with this khaki waterfall coat! It's the next item on my wish list. I think it would look perfect for the weather right now as in England the weather never seems to make it's mind up. 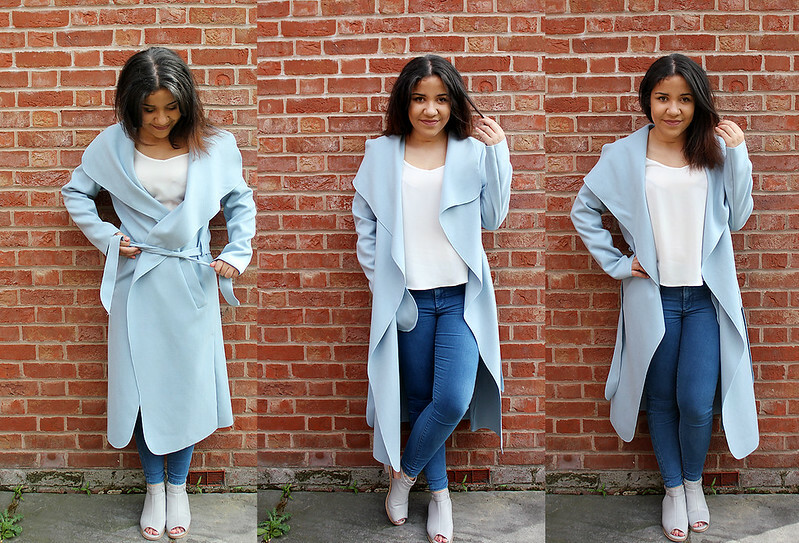 I've teamed this waterfall coat with a simple white came top and high-waisted blue jeans from Topshop. White Cami Top - New Look Blue Waterfall Coat - Pretty Little Thing* Mid-Stone Joni Jeans - Topshop Mid-Heel Shoes - Topshop I've been wearing this outfit a lot lately as it's simple and super stylish. I'll wear this coat with a striped top, different coloured came top or even a light-weight jumper underneath with high-waisted jeans. This is the sort of outfit I'd wear to university, on a day trip or maybe even a date night with my boyfriend! 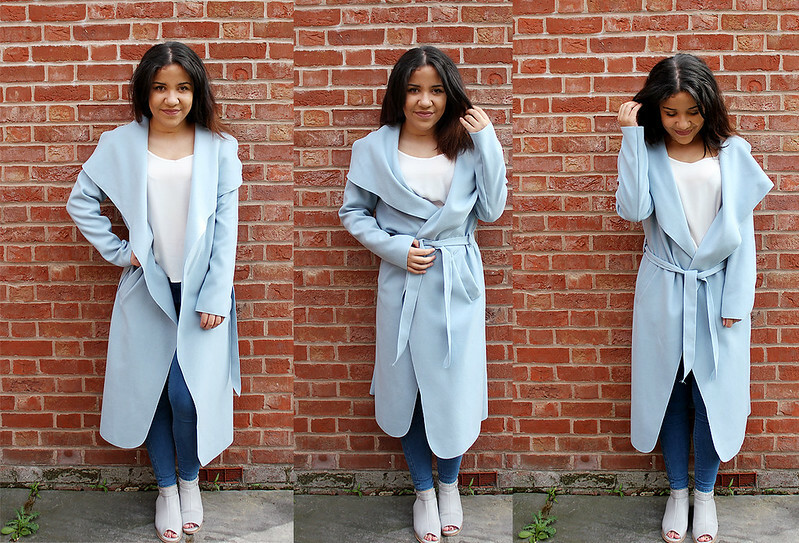 love the coat, you look incredible ! Such a lovely jacket, the colour really suits you!